China’s most prominent game publisher the Tencent Games is launching its very own version of Ragnarok Online this year, the Love at First Sight. In ChinaJoy 2018, Tencent Game announced their new mobile game the 仙境传说: 爱如初见 or translated into English, Ragnarok Online: Love at First Sight. The game will be available soon to download in Android and iOS devices this year. Note: This game is still in the Chinese Language. But wait, it’s Tencent! The game is developed by the Dream2 team, a Chinese studio and the same team behind the previous Ragnarok Online: Guardians of Eternal Love known as Ragnarok Online Mobile. 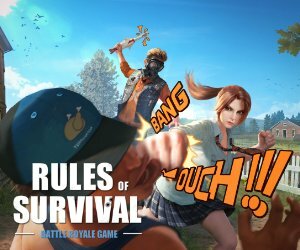 Tencent’s is known for releasing the mobile version of the popular PUBG game, that was initially released in China and only available in Chinese language. Later on, they release the English version globally and becomes one of the top-rated mobile games in Google Play and App Store. We’re hoping Tencent’s will do the same on the Ragnarok Online: Love at First Sight as lot’s of people around the world is waiting for an English version of the game. The current Ragnarok Online Mobile that was released in 2017 was developed by XingDong Limited and Gravity which is available in China, Taiwan, Hong Kong, South Korea and Macau and in Chinese version only. Based from the trailer, the in-game controls is much better and different now, similar controls found on some mobile MOBA games, there’s also a new viewing angle where you can view your character in full 3D view. Tencent says the experience you had in this game is fully immersive similar to playing the original PC version. However, game classes, towns, costumes and some quests remain the same. There are also new features for the Love at First Sight version, including a day and night environment, weather system, climbing abilities and a considerably improved graphics. The game will also feature a Battle Royale type of game, the 20-player PVP.